Behind the scenes over the last year floors, walls, wiring, plumbing, stairs and 100’s of others things have been be stripped back and assessed. We have repaired as many areas as possible and only replaced where there was no alternative. Whilst the pub is looking better due to some love and care, we realise that this will be an ongoing project (that is part of the fun of having a 200 year old building) to get it back to its former glory! Our aim is to provide a warm family friendly atmosphere with a personal touch from the owners. Freshly prepared meals to order all produced on the premises, with ingredients from as many local sources as possible. Sunday Lunch is proving to be extemely popular and therefore it maybe advisable to book in advance to avoid disappointment. Sandra, Kiernan & Chewie (our Bassett Hound) would love you to pop in and see for yourself what we have done to the The Northwick Arms. 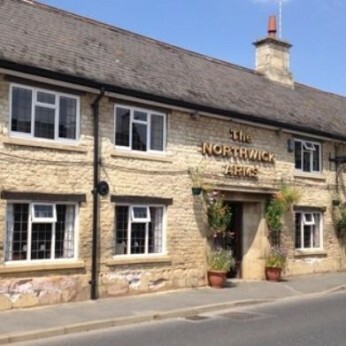 We're really sorry but we don’t seem to have any offers or events for Northwick Arms. We're sure there must be something happening here but they just haven't told us about it! Please do mention this to Northwick Arms when you next visit them.